Since many Analytics Canvas users connect to data in Amazon Redshift, we decided to let you know how you can best make sense of your data in Amazon Redshift using Analytics Canvas. Recently we announced a new connector to Amazon Redshift to support users that adopted this cloud analytics solution. 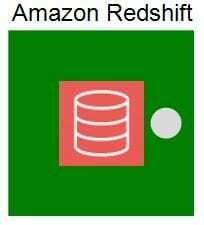 Amazon Redshift provides a massively scalable, cloud-based data warehouse, with which Analytics Canvas connects natively to support import of data. In this article, we are going to how you can connect to data in Amazon Redshift and push it to Tableau and Google BigQuery, including some examples. We’ve seen a trend recently in companies hosting their massive data on the cloud, while keeping that data open to Tableau users who often lack the data engineering skills needed to preprocess the data before analyzing it in Tableau. We often hear from Tableau users who struggle to fully utilize Amazon Redshift in their analysis. Massive tables in Redshift typically need to be combined with data from other sources. They also need to be prepared for visualization – and pivoting, cleaning and data-type issues can make the data visualization task difficult. Now Analytics Canvas is making it easier for Tableau users to open up the data stored in Redshift to Tableau users. Analytics Canvas acts as the data layer, bridging the gap between Amazon Redshift and other data sources, cleaning the data and storing it in TDE files that are quickly processed by Tableau. TDE files can then be published to Tableau Online and Tableau Server, where Tableau users can access the governed and cleaned data and prepare it for visualization in Tableau. For example, an analyst for an international e-commerce retail store wants to analyze the online sales generated by a marketing campaign in Tableau. Google Analytics API provides the data about campaigns and product purchases; Amazon Redshift stores a massive detailed table of product information; and the SQL Server stores reference tables about exchange rates for currency conversion. Connecting to all these data sources directly in Tableau, and joining and transforming the data, can slow the dashboard performance and negatively affect user experience. Analytics Canvas gets the campaign and sales data from the Google Analytics API. It joins it with product detail data from Amazon Redshift. Then, it joins it with the currency exchange rate data that comes from accounting and is stored in SQL Server. Analytics Canvas then exports the data into a Tableau extract file and publishes it to Tableau Online or Tableau Server. Now the analyst can create Tableau dashboards for performance analysis and decision-making. Analytics Canvas can be scheduled to refresh these tables automatically. This TDE file can also be reused to create other dashboards and reports. Many companies use multiple cloud solutions. 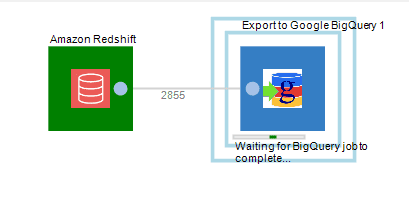 For analysts that need to connect to data in Amazon Redshift and move it to Google BigQuery, Analytics Canvas serves as an easy-to-use and quick-to-setup automated solution for building data pipelines between these two cloud providers. You can use it to query tables and transfer data directly between Amazon Redshift and BigQuery without having to fiddle about with Amazon S3 and Google Cloud. Data migration can strain limited IT resources. BI and analytics are looking to be independent from IT in carrying out their operations. Analytics Canvas allows for just that! Skip the errors caused by the file data formats due to unnecessary punctuation and data-type incompatibility. Analytics Canvas makes it easier to connect to data in Amazon Redshift and transfer data to Google BigQuery. Be sure to download a trial or upgrade to the newest version of Analytics Canvas, and try out the new Amazon Redshift connector!